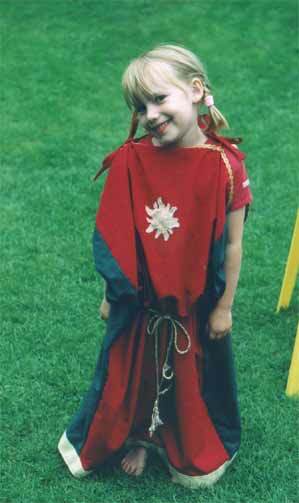 Marrit aged 2 during a visit to Archeon, 1999. 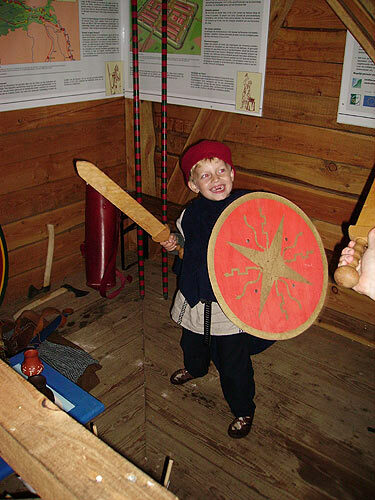 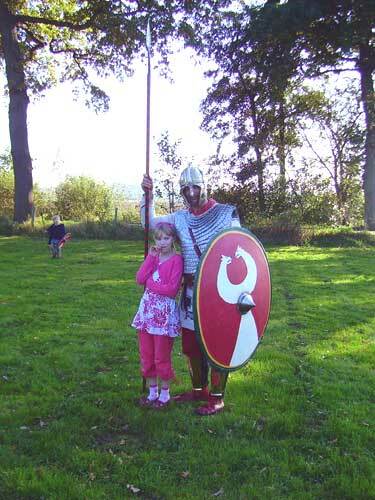 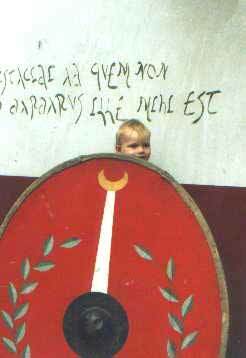 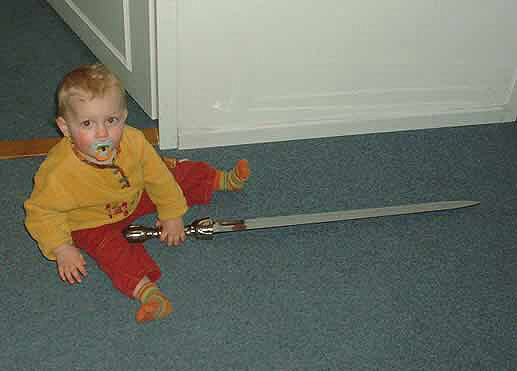 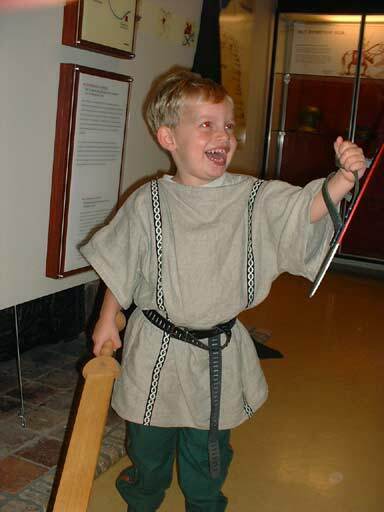 Jeroen at age 1 (2001), already fond of daddy's spatha! 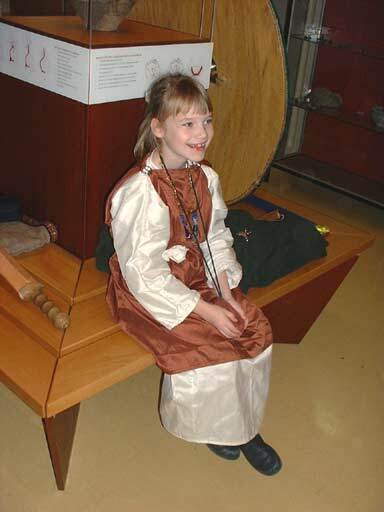 Marrit aged 5 (2002) in her 'Roman' dress which her mom made. 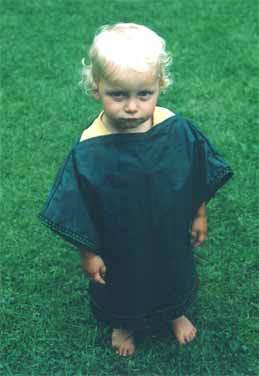 Jeroen aged 2 (2002) in his 'Roman' tunica. 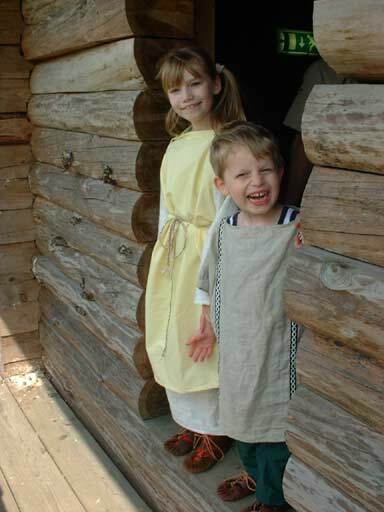 Marrit & Jeroen aged 8 and 4 (2005). 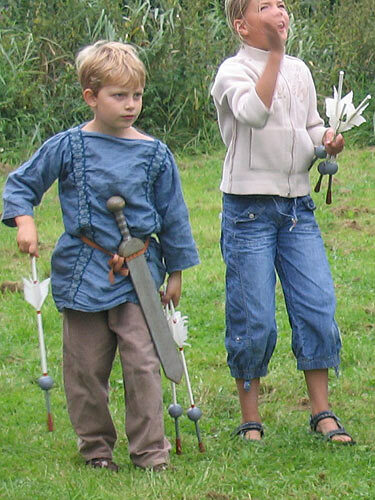 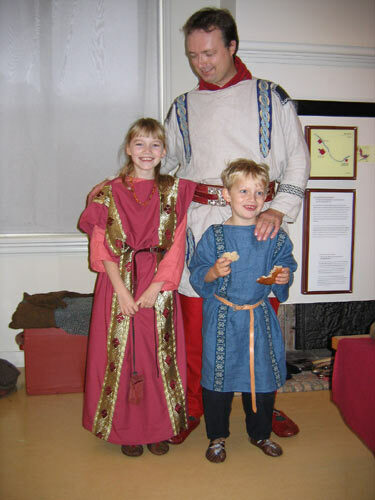 Marrit and Jeroen aged 9 and 6 (2006). 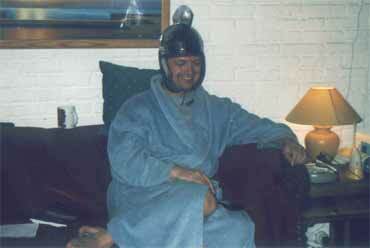 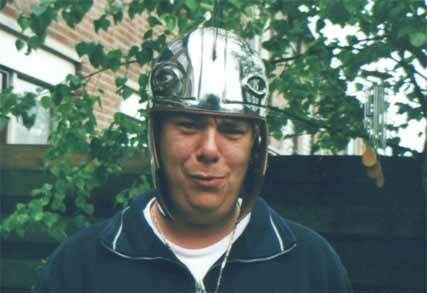 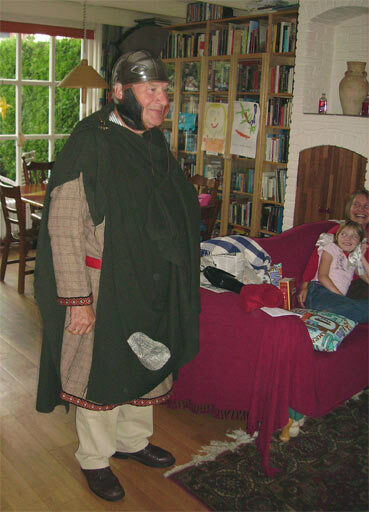 Late Roman veteran: my father-in-law.